Cambridge, 1963: Charlotte is struggling. With motherhood, with the changes marriage and parenthood bring, with losing the time and the energy to paint. Her husband, Henry, wants things to be as they were and can’t face the thought of another English winter. A novel of astonishing grace and devastating emotional power that will make your heart ache. If you loved The Hours or The Hand that First Held Mine, you will love The Other Side of the World. 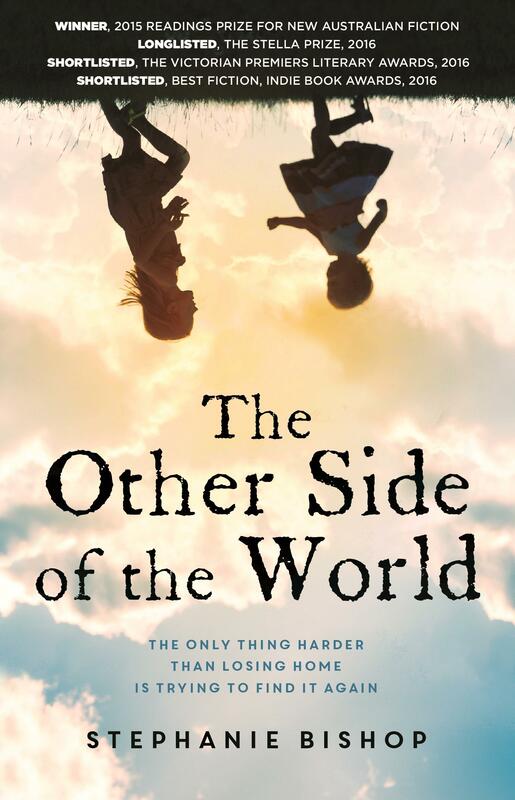 Stephanie Bishop’s The Other Side of the World is a brilliant work of art. Bishop’s intensely visceral writing has a haunting beauty reminiscent of the writings of Emily Brontë and Virginia Woolf. Set in the 1960s, The Other Side of the World hones in on the fractured relationship between British-born Charlotte and Indian-born and British-raised Henry. Trying to balance parenting with limited time for herself to paint, Charlotte is struggling. Henry wants life to return to how it used to be before they had children, and believes everything will be alright again – if they can just avoid another English winter by moving to Australia. Too exhausted to fight, she ends up ‘lost’ on the other side of the world. Stephanie Bishop provides rare and intimate insights into the magnitude and the minutiae of motherhood, the power of passion and the constant search for love and happiness and a sense of ‘home’. Returning to India to see his elderly and sick mother for the first time since he was there as a young boy, Henry wonders, ‘what it would be like to belong somewhere and never doubt it. To not be constantly pestered by the knowledge of your own foreignness … How much can we be expected to give in the name of love and how can we ever be reconciled to what is lost? … Is it easier to love a child than it is to love a wife?’ I found myself reading and rereading the questions posed throughout. Bishop’s writing guides you through the full spectrum of emotions one feels in love and with loss in a dream-like state with a calm self-assuredness. Bishop bravely dissects what it means to be human, questioning everything taken for granted. So real are her characters and their complex emotions that they go straight to your core and stay with you long after finishing. So evocative is her writing that I could feel the biting winds and damp of an English winter, the scorching hot sun of a Perth summer and the pungent scents and mayhem of an Indian village. In 2006, Stephanie Bishop was named one of the Sydney Morning Herald’s Best Young Australian Novelists for her debut novel, The Singing. This, her second novel, was shortlisted for the 2014 Australian/Vogel’s Literary Award. There is no doubt that The Other Side of the World will launch Stephanie Bishop’s career as a major new international literary talent. This is definitely my pick of 2015 and I would even go as far as saying that it’s now made it into my top 10 books of all time. I urge you all to read this truly great work. Emily Harms is the Head of Marketing and Communications.